If you think raw food is complicated and time-consuming it's time to think again! It's all about having quick and easy energising recipes to suit your busy lifestyle. If you believe that true wellbeing is mental, physical and spiritual then more raw food is right for you. And with the food you eat. Raw food the Raw Freedom way is not about denial but about realistically integrating more raw food into the life you want to live. Eating a diet high in raw food balances emotions, energises the body and frees the mind. Being able to love your life is all about creating flow and ease. De-stress, let got of overwhelm and exhaustion and get back to a place where you know you're living your truth. You probably have some great ideas of what you want. And what you don't want anymore! Get out of your own way and make room for your dreams. Raw Freedom is all about helping you to fall in love with life again. Hello and welcome to Raw Freedom! My name is Saskia and I’m really pleased that you’ve arrived at my website. Few things are a coincidence in life and you are here for a reason. I have been a raw food mentor, author and life coach for over 6 years now. What I coach and teach is not about eating a 100% raw food diet, it’s about discovering first hand how incorporating more raw food into your busy life will increase your energy, clarity and emotional balance so that you look and feel fantastic about yourself. Raw Freedom gives you the beautiful opportunity to fall in love with your life again. If you haven’t joined my mailing list yet please do yourself a life-changing favour and enter your name and email address, just on the right here. Of course I promise not to share your details with anyone else – I’ll just use them to keep you inspired and up to date with what I’m doing. AND you’ll get my fab free gifts too! It’s likely you’ve landed on this website because you want to find out more about raw food and if it can give you what you looking for. You want more energy and you’re ready to make some healthy changes to your lifestyle. You probably feel like your diet, work and general enjoyment of life aren’t half as good as you’d like them to be. You’ve had enough of feeling tired and stressed out. You want to change things, but you feel you need support in making those changes. On some deep level you know you are designed to be energetic, healthy and gorgeous: your shining potential is waiting for you to claim it. But … it’s likely you need some guidance on how exactly to go about doing that. I’m so pleased you’ve landed on my website because that’s exactly what I’m here for – to give you guidance and inspiration; to help you get back to feeling better than you have in years! Well, I’m very happy to let you know that this website will give you all the information and support you need to learn more about raw food, get back on track and move forward with a raw food diet. 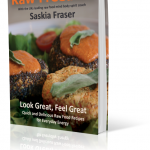 You can get inspired and discover how raw food changes peoples lives by reading my clients inspiring raw food stories. As a certified Raw Food and Life Coach I’ve coached and taught hundreds of women about the body, mind and spirit benefits of eating high raw, teaching my clients how to let go of their fears and to honour themselves and their natural intuitive wisdom. I would love you to become part of this courageous tribe of women too. Raw food is a naturally detoxifying way to eat. The joy of a raw food diet is that it can be versatile and flexible. The food you eat can be sugar-free, dairy-free, gluten-free, saturated fat-free – and still taste fabulous! A lot of detoxes can be boring. I specialise in teaching you quick and easy raw food recipes that taste amazing, fit into your busy working life and give you a new way to eat for energy and long term health. 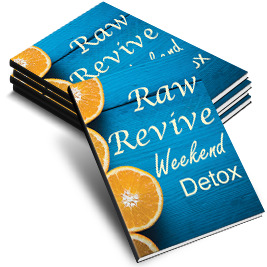 Rather than doing a ‘detox’ I teach you how to sustainably detox-yourself every day. On this website you can learn the basics of raw food and find delicious raw food recipes and inspiration. You can also find details of my coaching programmes which are designed specifically to help you reclaim your vitality and love of life with the help of raw food. Don’t forget to sign up for my free raw-inspiration gifts in the box in the top left corner of this page. And If you’re ready to feel really empowered and excited about your life again then gift yourself with the amazing mind, body and spirit transformation that my holistic programmes give you.